The Speckled Sparrow: Stampin' Up! 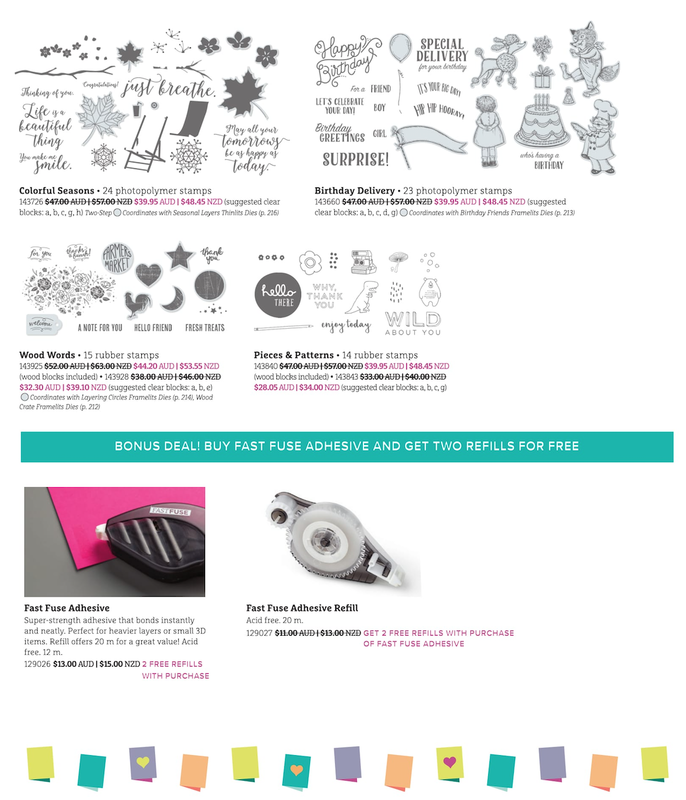 October Promotions - Lots On Offer! Stampin' Up! October Promotions - Lots On Offer! Hello there! It's October tomorrow and it is going to be one jam-packed month of fun! There's so much going on I decided I needed to give you the heads up early so you can get your game plan sorted! 1) We'll kick the month off with a World Card Making Day Event which runs through October 1-10. 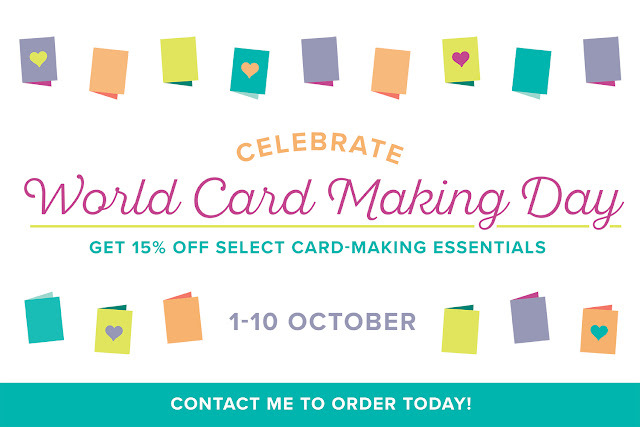 You'll get 15% off Note Cards & Envelopes and select stamp sets. You'll also get a Bonus Deal on Fast Fuse Adhesive. Buy one and get 2 refills FREE! Now that is a deal you won't want to miss! 2) Next up is the DSP Sale which runs from October 1-31. Buy 3, Get 1 FREE! Choose from 13 packages, it's a great time to stock up! Here are the DSP packs that are on special this month. 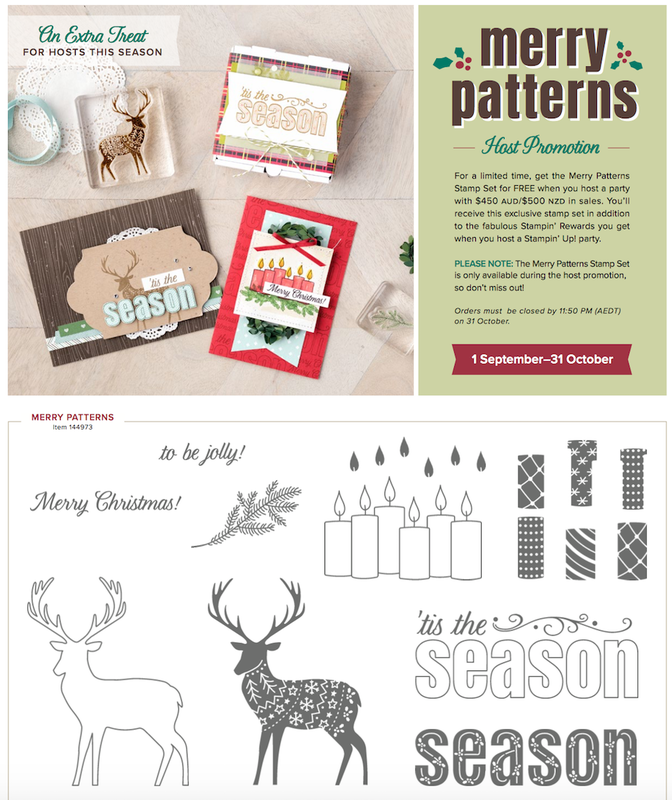 It's a great time to get all your Christmas cards started or even think about upcoming events & special occasions. Another great idea is splitting the deal with a friend - get one pack each & split the freebie! 3) Last but not least we have a great hostess stamp set available FREE to those with a qualifying order! I absolutely love this set & can't wait to start creating with it! So you see, there are so many awesome deals happening in October, that you really need a plan of attack! I will be placing an order soon, so if you would like to save on postage & live in my area contact me to add your order to mine. You can also do an online order & have the item shipped direct to you. This deal is running all month so I am happy to pop through an order at a time that suits you too. 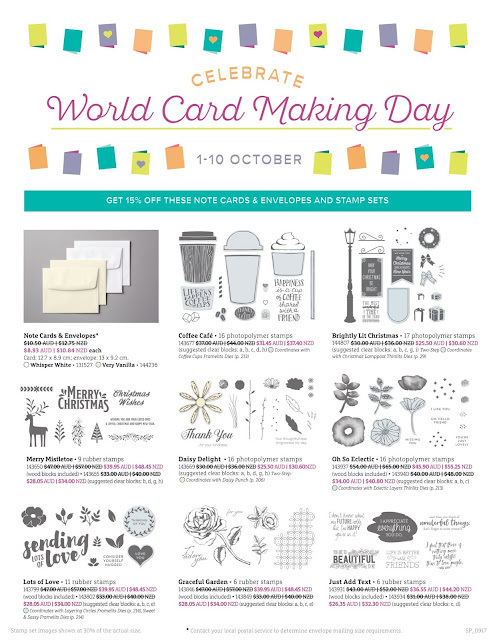 Happy October & World Card Making Day to you all! 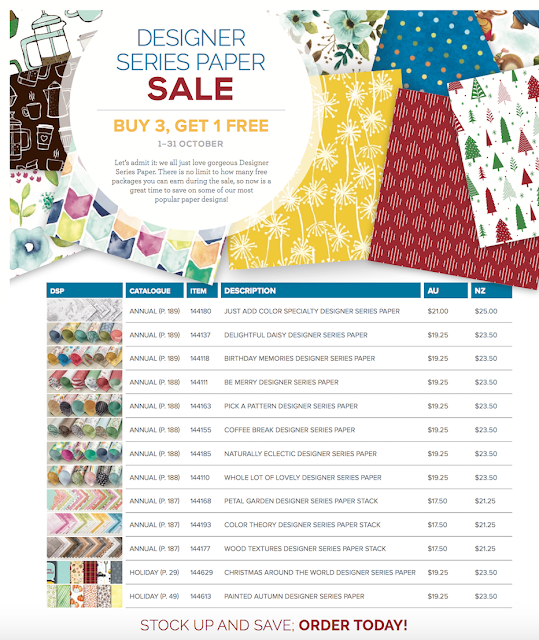 It's Holiday Catalogue Time - YAY!